On BBC Radio 4 next Tuesday 13 March at 11.30am, there will be a half hour programme about the cabinet piano and music at the Parsonage, produced by Simon Hollis, with Catherine Bott (soprano) and Jonathan Cohen (piano). In 2010, for the first time in over 160 years the Brontë family’s cabinet piano was heard again at their former home in Haworth. This historic occasion took place at the Parsonage in June of that year following months of complex conservation work, made possible through the generosity of Florida member Virginia Esson. The piano was originally made by John Green of Soho Square. The piano has an interesting history: it was lent to Mr Grant, the curate of Oxenhope by Patrick Brontë after his children’s deaths, and then sold at an auction of Brontë items in 1861. It then passed through numerous hands before being put up for sale at Sothebys in 1916 as part of the collection of J.H. Dixon. Dixon’s wife was not satisfied with the price offered and withdrew the piano from the sale, presenting it instead to the Parsonage in memory of her husband. The piano was valued by many of these former owners as a relic of the remarkable Brontë family. Over the years little interest has been taken in it as a musical instrument and it was no longer in playable condition. 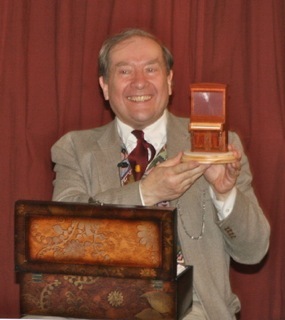 The piano has undergone a lengthy and complex restoration process carried out by Ken Forrest, a specialist conservator. Many of the internal workings were either damaged or missing and the restoration was further complicated by the piano’s rarity and the lack of similar instruments available for comparison. Maddalena De Leo send us news of the recent publication in Italian of her translation of The Secret. She also mentions how happy she is to know that the Red House has been saved. She made a point of visiting it in 2009, and was one of those who emailed her opinion during the campaign to keep it from enforced closure. 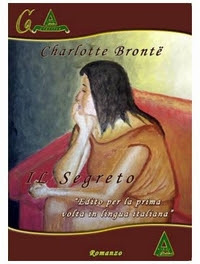 The juvenile work The Secret by Charlotte Brontë has been published in Italian for the first time on 2nd March. The translator and editor of the little book published by Albus is Prof. Maddalena De Leo who already translated and edited Brontë’s Henry Hastings in 2009 also for Albusedizioni and other Juvenilia as Mina Laury and Stancliffe Hotel etc. (Ripostes). The Secret focuses on Charlotte’s heroine, Marian Hume, the child bride of the dark, brooding and temperamental Marquis of Douro (also known as Arthur Wellesley II and the Duke of Zamorna, the oldest son of Charlotte’s hero, the fictionalized Duke of Wellington). The story is narrated by the Marquis’ younger brother, Charles Wellesley. The manuscript of The Secret was first documented by Elizabeth Gaskell, Charlotte’s biographer, who probably saw it just after her death. The first page of The Secret was reproduced in Gaskell’s Life of Charlotte Brontë, which was published in 1857. 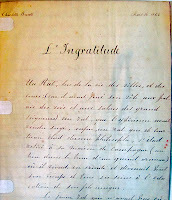 The manuscript was also included in Shorter’s The Brontës: Life and Letters, which was published in 1908. No information is available on the manuscript’s whereabouts between 1915 and 1973, and it was presumed lost. However, the manuscript was rediscovered among the personal papers of Evelyn Wadsworth Symington, wife of United States Senator Stuart Symington, after her death in 1973. The Italian book can boast a colourful cover and an exhaustive introduction by the editor herself. How good was Charlotte Brontë’s French in 'L’Ingratitude'? 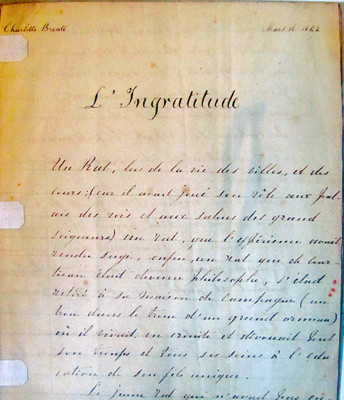 As we know, it is a very early devoir, written a month and a day after Charlotte and Emily arrived at the Pensionnat Heger. In this text of fifty-eight lines, Brian Bracken has identified fourteen errors. However, eight of the fourteen are the same error: Charlotte used the imperfect tense rather than the passé simple. For example, she wrote ‘mangeait’, ‘he was eating’ rather than ‘mangea’, ‘he ate’. She made one mistake in gender (‘un’ rather than ‘une’ odeur) and one in pronoun case (‘le faisait’ rather than ‘lui faisait). She hyphenated a word incorrectly; she forgot to make ‘grand’ plural before ‘seigneurs’; she put an adjective before instead of after its noun; and she used one plural verb rather than a singular.